"The principles of successful stock speculation are based on the supposition that people will continue in the future to make the mistakes that they have made in the past." The majority of this book is concerned with brain processes that bias individual investment behavior. However, when individuals' biases align, a diversity breakdown occurs, and market prices can suddenly become predictable. This chapter describes market patterns generated by collectively biased investors. My interest in this area arose while working as a quantitative analyst. From 1995 to 1997 I designed neural network-based stock prediction software. My software had a slight advantage over random prediction, but it rapidly lost its advantage over time. Because quantitative prediction systems are easily replicable by others, leading to decreased profitability over time, I decided to model investor behavior. I assumed that mathematical arbitrage would have difficulty eliminating powerful, biologically driven, market price patterns. As I researched behavioral finance, it became apparent that one can improve investment profitability using psychology-informed strategies. Fortunately, these strategies are quantifiable, so they can be tested and statistically confirmed. In my research I found that most outperforming behavioral strategies are long term and occasionally suffer large drawdowns. Their outperformance is not enormous, but in a world where most fund managers underperform the markets year after year, behavioral considerations provide a crucial key to beating one's benchmark. None of the strategies described here are "bullet-proof," and since they are all publicly known, there is a good chance that they will gradually disappear from the markets over time (perhaps not for a long time). In fact, many of the investing strategies that were originally considered "behavioral," such as value and momentum investing, are now part of mainstream finance. First, this chapter examines how one pro, Jim Leitner, uses other investors' biased risk perceptions to his advantage. Later in this chapter, we'll examine the outperformance of the value versus glamour effect, momentum investing, and other psychology-based investment opportunities. Fear can best be translated into financial language as "risk perceptions." When risk perceptions are high, so is the risk premium. Risk perceptions often deviate from actual risk due to the biases described earlier in this book: emotion (fear leads to overestimation of low probability catastrophes), time discounting (seeing an immediate danger), herding (investors observe each other for cues), uncertainty and mistrust (the veracity of government-published statistics is ambiguous), and loss framing (default is seen as a risk, not an opportunity). Over time, strategies that arbitrage risk perceptions can do very well. Falcon Management principal Jim Leitner, profiled in Chapter 15, noted that in currencies, differences in risk perception are often reflected in interest rate yields. Currencies that are at risk of devaluation typically have higher-yielding bonds. Investors perceive risk of devaluation if they believe that the government may: (1) default on debt payments (bond yields); (2) significantly increase its money supply, which sparks inflation; or (3) devalue its currency via other means, such as deficit spending. Bond interest rates will rise for debt denominated in currencies that have a high perceived risk of devaluation. The risk premium is a dynamic function of investors' fear and myopia. The Brazilian government was believed to be on the verge of defaulting on its debt, denominated in the Brazilian real, in 2002. In the years following its narrow avoidance of default, investors continued to perceive a high risk of devaluation in the Brazilian real due to representativeness. Brazilian bonds commanded relatively high interest rates, which were necessary in order to attract investors. However, risk perception does not always reflect the actual risk. Investors who bet that interest rates would drop in a country perceived as financially unstable, such as Brazil, and rise in a financially stable country such as the United States, could have profited as the interest rates partially moved toward convergence over the subsequent years. Leitner himself carries such trades, exploiting the differences in risk premia between high-yielding and low-yielding currencies. These trades must be held for years: "At times it doesn't work, but over many, many years it does." Leitner is taking advantage of other investors' biased risk perceptions. Option premiums contain an estimate of future price volatility—in short, a measure of investors' risk perceptions. Leitner has found that investors' fear of potential losses leads to option mispricing: "Short-dated volatility is too high because of an insurance premium component in short-dated options." That is, investors become excessively worried about the short-term price performance of their investments, and thus they are willing to pay too much for the portfolio "insurance" provided by options. Another investor who profits from this effect, Richard Friesen, was profiled in Chapter 17. A technique for taking advantage of both investors' overconfidence (specifically, miscalibration) and fearful myopia involves Leitner's observation that "longer-dated options are priced expensively versus future daily volatility, but cheaply versus the drift in the future spot price. "2 Most people cannot accurately estimate their confidence interval of future market price trends. As noted in Chapter 8, only 39 percent of CFOs correctly estimated the one-year stock market close in their 80 percent confidence interval. Investors are afraid of short-term volatility in their holdings, thus bidding prices for option insurance too high. But, over the long term, they are unable to foresee the likelihood that the option price will trend to another level based on their intrinsic miscalibration. That is, when looking out longer term, investors are overconfident in their ability to estimate future price ranges. When buying options for the short term, they are excessively myopic and fearful. The 2001 book Expectations Investing by Michael Mauboussin and Bernard Rappaport, delineates a strategy for taking advantage of myopia in investors' expectations. The authors argue that the disparity between long-term corporate cash flow trends and investors' short-term cash flow expectations, as reflected in current share price, can be exploited as a source of alpha. The authors assert that in order to generate a positive alpha, one must develop superior forecasts of changes in others' expectations. The Economist magazine alluded to the importance of expectations in driving prices while Brazil threatened debt default in the summer of 2002. Brazil was faced with increasing interest rates due to a contagion of risk perception after a meltdown in the finances of its neighbor, Argentina. Though Brazil was financially stable at current interest rates, a significant rise in rates and drop in the value of its currency, the real, would have created conditions in which Brazil was unable to meet debt payment obligations. Understanding this risk, speculators and risk-averse investors began to sell bonds. Their selling pressure gradually pushed interest rates higher. Interest rates were on the verge of surpassing Brazil's ability to pay, and the risk of a debt default suddenly became real. Brazil ultimately did not default on its debt obligations. Soothing words from the world's deep-pocketed bankers rapidly restored confidence and diminished risk perceptions. In other cases, investors' risk perceptions are too sanguine, even when risks are communicated clearly in official company reports. In a fascinating study, Professor Li Feng at the University of Michigan counted the frequencies of the words risk, risks, risky, uncertainty, uncertain, and uncertainties in 10-K Securities and Exchange Commission (SEC) filings for over 34,000 firm-years of annual corporate reports. He found that companies with large increases in risk-related word frequency underperformed companies with slight increases by a magnitude of 10 percent annually. Feng concludes, "I find that a stronger emphasis on risk in the annual report is associated with lower future earnings. The risk sentiment of annual reports can also predict future returns. "4 It appears, in this context, that even when companies explicitly remark upon their stock risk, investors underreact. Perhaps investors are focusing on the wrong information when developing expectations. One of the first identified market anomalies is the long-term outperformance of "cheap" value stocks relative to more expensive "glamour" stocks. Because of their lengthy use and outperformance, value strategies have been incorporated into modern financial education. Warren Buffett is one notable value-investing practitioner. Value stocks' shares sell inexpensively relative to the actual, underlying worth of their physical assets (such as buildings, factories, equiptment, patents, brand, or market penetration), their projected earnings growth, or their cash flow potential. Three widely used financial ratios for measuring a stock's value are: (1) the price-to-book ratio, (2) the price-to-earnings ratio, and (3) the price-to-cash flow ratio. The price-to-book ratio measures the ratio of current share price to asset value. When the ratio is low, then a stock is relatively inexpensive, and when it is below 1, then a stock is selling for less than the value of all its assets. The price to earnings (P/E) ratio is another measure of value. When a company's current earnings are high relative to the share price, then the P/E ratio is low and the stock is relatively cheap. Subpar pricing happens for some companies, particularly if earnings expectations are low or its business is out of favor. Using Factset software, in February 2005 I performed an analysis of value stocks that had both low price-to-book and low P/E ratios. I rank ordered all United States stocks over $250 million in market capitalization according to each ratio independently. Then I summed their two independent rankings and reranked them. The subsequent ranked list was divided into hundredths. Each year for the prior 15 years (1990-2004) the list was reordered on January 1 and then run forward one year. The average returns of each hundredth over the past 15 years are displayed in Figure 23.1. You can see that the annual returns of the top hundredths of inexpensive value stocks (far left) was almost twice as high as the top hundredths of "glamour" stocks (far right). The bar to the furthest right is the performance of delisted stocks. While value stocks tend to do well over the long term, finding the best short-term winners requires a different skill set. Researchers found that stocks whose prices rose over the prior six months tended to continue outperforming the market over the next two years. Momentum strategies exploit the "price momentum" that carries rising stocks even higher. Their results depict the returns for three momentum strategies that consider prior trading volume. The early-stage momentum strategy buys low volume winners and sells high volume losers. The late-stage momentum strategy buys high-volume winners and sells low-volume losers. All strategies outperform for one year. The early-stage momentum strategy significantly outperforms the late strategy and the market for four years (35 percent outperformance). The late strategy begins to underperform the market after one year. The lesson is that low-volume winners are most likely to continue performing well. High-volume losers are likely to continue downward. In the short term, unsupported momentum reverses rapidly. When prices jump without being correlated with a news event, then they tend to reverse direction over the following month.9 In the case of unfounded price rises, there is no price momentum. Momentum strategies can theoretically outperform, but they require higher turnover (shorter holding periods) and thus higher transaction costs. Furthermore, momentum strategies have been faltering in 2006. One large Wall Street bank closed its momentum trading desks in mid-2006 as a result of poor performance. In an interesting reversal of the momentum effect over longer time periods, three- to five-year stock underperformers will, on average, reverse trend over the subsequent three to five years. Professor Richard Thaler measured the returns of all stocks traded on the New York Stock Exchange (NYSE) every three years from 1926 to 1982.10 A "winner" portfolio of the 35 stocks with the best performance and a "loser" portfolio of the 35 worst-performing stocks was formed. Over the following three years, the average annual return of the loser portfolio was about 8 percent per year greater than the winner portfolio. On a different note, small stocks tend to do better than large ones over time. Stock returns every year from 1963 to 1990 were examined for returns relative to the market capitalization of the companies. Stocks on the NYSE, American Exchange (Amex), and the NASDAQ were grouped into deciles according to their size. The average return of the smallest stock decile was 0.74 percent per month greater than the average return of the highest decile. The difference in risk is not enough to explain the difference in returns. So how can all of these market anomalies be combined into a market-beating portfolio? Emory University professors Shanken and Kothari attempted to find the optimum asset allocation to take advantage of combined small stock, value, and momentum anomalies.11 The authors sampled stocks from 1963 to 2000. They allowed for the possibility that the positive alphas of their three anomaly portfolios might not be as large in the future as they had appeared to be in the past. They found that even if portfolio alphas were expected to be just a quarter of the size they were in the past, an optimal portfolio would invest more than half in value stocks and about one-third in momentum stocks. This strategy increased the annual expected return by about 0.6 percent, relative to the market index, holding risk constant. With alphas half of the historical level, the authors found that the increase in expected return is more substantial, almost 2 percent. As we saw in Chapter 1, active investment management is a losing proposition for the vast majority of investors, both individual and professional. As a result, academics recommend that individuals buy index funds and avoid checking their prices for 10 years (for long-term investors). Index funds have low expenses, and they are likely to outperform bonds significantly over the long term (taking advantage of the equity premium puzzle). Risk management is easier with index funds than with a portfolio of individual stocks. Different types of index funds—sector, international, currencies, and commodities—can be balanced to create diversified portfolios with lower overall risk profiles. Buying and holding index funds for the long term is the highest-returning investment plan for most investors. However, if one checks their prices repeatedly, they will see more downside risk and will thus be more likely to sell. "BUY ON THE RUMOR AND SELL ON THE NEWS"
The "Buy on the rumor and sell on the news" (BRSN) price pattern describes a phenomenon in which a stock price rises in anticipation of a positive event, and then falls immediately after the event happens. It appears to be caused by several biases. Many traders buy shares in anticipation of a positive event, such as a "better-than-expected" earnings report, a hyped product release, or good economic news. It is said that traders are "buying on the rumor" because the good event has not yet occurred. When the expected event does occur, prices often fall, which is the opposite of what was expected. 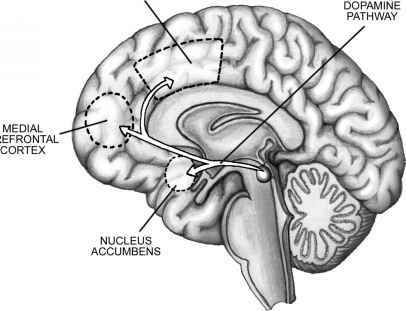 Investors' positive expectations for an anticipated event trigger the nucleus accumbens (NAcc). The NAcc drives excessive risk-taking. As the event approaches in time, investors' expectations for "better-than-expected" news increase due to the NAcc-induced effects of excitement, time discounting, and the exaggeration of expectations by desire. As a side effect of such overoptimism, the probability that investors will be disappointed also increases. One study that examined the BRSN effect during the Internet bubble found it to be strikingly consistent. Professor Brett Trueman and colleagues at the University of California at Berkeley identified the BRSN pattern around the earnings announcements of Internet stocks. They analyzed a large sample of earnings announcements for 393 Internet firms over 1,875 firm-quarters between January 1998 and August 2000. They found that purchasing an Internet stock five days prior to its earnings announcement and then selling that stock at the open on the day immediately following the earnings release yielded an average market adjusted return of 4.9 percent. Shorting the same stock at the open the day after its earnings release yielded an average market-adjusted return of 6.4 percent when the short was covered at the market close five days later.12 The optimism that was brewing around Internet stocks transformed into excitement around their earnings reports. • Significantly limited or ambiguous accounting information available. • Excess liquidity available to traders. • High vividness or imaginability of the concept (even a vivid name helps). • A virtually "unlimited" potential market to drive revenues. • Groupthink and herding (for example, unconfirmed rumors and media mentions). • Large potential magnitude of potential payoff. • Perceived certainty of payoff. • Recent trending price movement. • Event is approaching in time. "Limits to arbitrage" prevent behavioral price distortions from being traded for profit. Patterns are easy to find in the markets, but finding patterns that can profitably be exploited after transaction costs and structural barriers (such as short-sale constraints) are accounted for, is much more difficult. The limits to arbitrage fall into three distinct categories: short-sale constraints, size constraints, and transaction costs. Some preconditions prevent the shorting of securities on certain markets, such as the over-the-counter (OTC) bulletin boards or some foreign markets. In some markets, only market makers can short. In others, regulations prevent any shorting. Many brokerages will not allow shorting of securities priced below a certain dollar amount, particularly for smaller clients. Additionally, it is often the case that a broker cannot borrow the security for shorting. Size constraints are represented by the inability to enter a substantial arbitrage position without moving the market into closing that arbitrage opportunity. In the worst-case scenario, unraveling large arbitrage positions pushes prices back into the former pricing inefficiency. Such a case was seen as Long-Term Capital Management considered exiting its positions. Transaction costs are one of the most overlooked aspects of investment. Transaction costs are typically assumed to include commissions and slippage in securities and up-front and redemption fees in mutual funds. Transaction costs in large-cap stocks can consume about 0.1 percent of capital for each purchase or sale of shares. Small and micro-cap stocks have much steeper transaction costs, sometimes up to 10 percent when the bid-ask spread is wide. Futures often have the smallest transaction costs—less than 0.05 percent. Active investors can lose a large portion of their profits through transaction costs. One example of an obvious arbitrage opportunity that could not be executed involved the initial public offering (IPO) of Palm Inc. from 3Com Inc. In March 2000, 3Com Inc. sold 5 percent of its wholly owned subsidary Palm Inc. in an IPO, retaining ownership of the remaining 95 percent. After the IPO, a shareholder of 3Com indirectly owned 1.5 shares of Palm (with full spin-off planned in nine months). At the end of the first IPO trading day, Palm shares closed at $95, thus valuing 3Com at more than $142. But 3Com was actually trading at $81, implying a market valuation of 3Com's significant businesses outside of Palm at negative $60 per share. Arbitrage seemed like a no-brainer, as the prices would likely converge within nine months, but it was virtually impossible to execute due to short-sale constraints (limited shares available to borrow). What should have been certain profits, gained through arbitrage, were unavailable to many attentive traders. Behavioral finance represents the application of principles of investor psychology to investing. Flagship funds using behavioral finance-based investment strategies have outperformed their benchmarks significantly over time. One notable fund group is Fuller and Thaler Asset Management. They have achieved an average alpha of almost 4 percent on their funds since inception. However, a recent flood of money into behavioral strategies may have eliminated some of the advantages that Fuller and Thaler's strategies held. LGT Capital Management of Lichtenstein utilizes principles of behavioral finance, in combination with technical and fundamental market valuation approaches, to design portfolios. Some LGT strategies take advantage of "asymmetric risk perception as well as the various investment horizons of investors. "15 According to an LGT brochure, "the financial markets deal not in realities, but in expectations, or more precisely changes in expectations. '"16 LGT's funds have consistently delivered lower volatility than the markets and higher returns since inception. Their flagship fund is up 65 percent since opening on December 31,1998, while the Morgan Stanley Global Index is up 43 percent. Other notable behavioral finance-oriented fund groups with significant track records include funds managed by David Dremen and LSV Asset Management (LSV was founded by some of the pioneers in behavioral finance). In the past few years, many large banks and fund management organizations have been jumping on the behavioral finance bandwagon, including Morgan Stanley and J. P. Morgan. Individual investors can benefit from investment programs that accommodate their emotional biases. Currently, few Americans save enough for retirement, often due to a combination of several biases: time discounting (procrastinating the pain of saving), inertia (indecision and doing nothing), fear of market risk (avoiding investing in the equity markets), and overcon-fidence (believing one can save more later). The SMarT plan is implemented as follows. First, employees are approached about increasing their contribution rates approximately three months before their scheduled pay increase. Second, once they join, their contribution to the plan is increased beginning with the first paycheck after a raise. Third, their contribution rate continues to increase on each scheduled raise until the contribution rate reaches a preset maximum. Fourth, the employee can opt out of the plan at any time. In order to encourage employees to sign up for the SMarT plan, the researchers postponed the pain of the savings until later. Additionally, they allocated a higher percentage of employees' future raises to go toward their savings, so short-term pain was minimized. Furthermore, the designers take advantage of automaticity, which ensures that individuals do not need to take action in order to save. U.S. government legislation passed in 2006 requires the implementation of "opt-out" retirement programs. In opt-out programs, employees are automatically placed into a retirement savings scheme, with a percentage of income regularly deducted toward retirement savings. They will remain enrolled every year unless they take action to be removed. Every year they are automatically reenrolled. Such automaticity challenges individual inertia. Besides the SMarT plan, there are numerous other attempts to include behavioral finance principles in the design of financial products. "Goal-based investing" harnesses the psychological bias of mental accounting by placing one's savings in multiple targeted portfolios. The goal of this approach is to simplify the investing process and render it more understandable. "Life cycle" asset allocation strategies increase the distribution of investments to fixed-income (bonds) from riskier equities as one ages. This is an automatic change based on one's age at enrollment, and it accommodates the natural increase in risk aversion beyond retirement. This book has covered a lot of ground, not all of it elegantly or concisely. While the field of behavioral finance is now getting its "legs," neurofinance is still in its infancy. However, the tools offered by neurofinance, such as neurofeedback, brain-oriented coaching and training paradigms, and financial personality typing, are coming along quickly. The main factor impeding progress is the lack of trained talent to both perform research and apply it to investing. Another impediment is the lack of portable, comfortable, and convenient neuroscience technologies. Is "neurofinance" shaping up to be another fad—here today, gone tomorrow? I don't think so. Neurofinance has not yet been significantly exploited by investors, both on a personal level and in the design of portfolios and trading strategies. Neurofinance has a fundamental power, based on the inner processing of millions of interacting brains, and rooted in psychological laws. As the decades pass, technology becomes more developed, and acceptance increases, neurofinance will make large-scale contributions to the investing process. However, neurofinance is currently in its infancy. It is my hope that individual investors can apply some of the insights and knowledge in this book to their daily investing. While emotions, motivations, cognitive biases, and emotional defenses are all subconscious, learning about them brings them closer to the surface. With awareness and discipline, action can be taken to correct one's vulnerabilities and enhance one's strengths. People have been struggling with unconscious biases for millennia. Training regimens, such as those provided by meditation and yoga, have been developed and honed over generations. Suggestions for self-help are distributed throughout this book, but one caveat is that without an external coach or guide, the use of these techniques can be easily disregarded (another emotional defense!). If you choose to embark on a journey of inner work, remember that the outer rewards (profits) are only a side benefit. A happy and rewarding life is the ultimate achievement. Thank you for taking the time to read this book. Please feel free to communicate questions and comments to the author. May you be prosperous and well.